We see these two the most often. 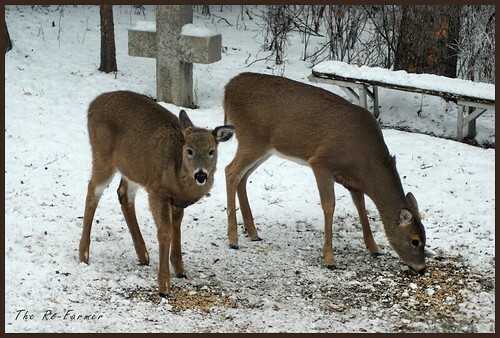 The little guy on the left in the photo is the one that tends to come into the feeding station at a run! Brightens my day, every time!